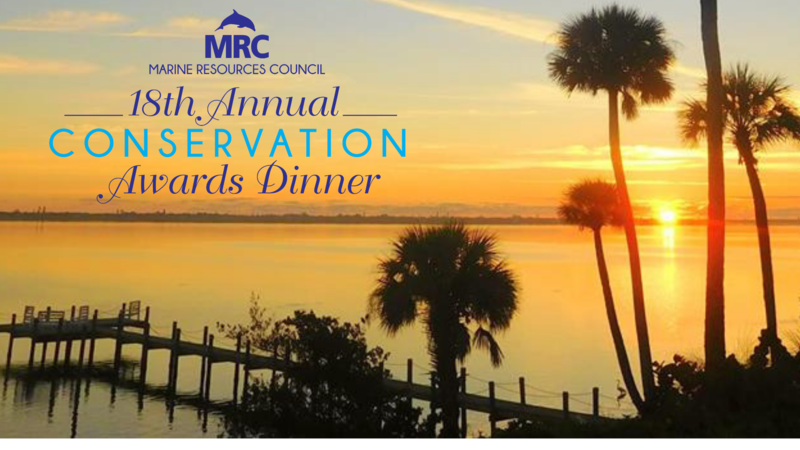 Help celebrate the 18th Annual MRC Conservation Achievement Awards Banquet to honor extraordinary Indian River Lagoon conservation heroes. This formal event is open to the public. Each ticket includes 2 complimentary adult beverages and choice of entree (Filet Mignon, Jumbo Lump Crab Cakes, Chicken Mediterranean, and Roasted Vegetable Lasagna).